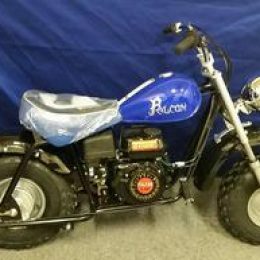 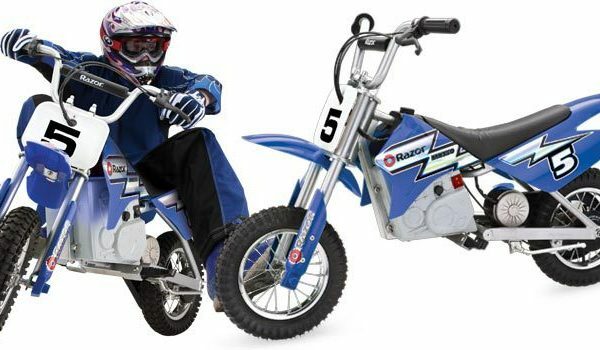 The Razor Dirt Rocket MX350 is a dirt bike that is powered by electricity, allowing young riders to enjoy the fun of a dirt bike while only offering speeds of 14mph. 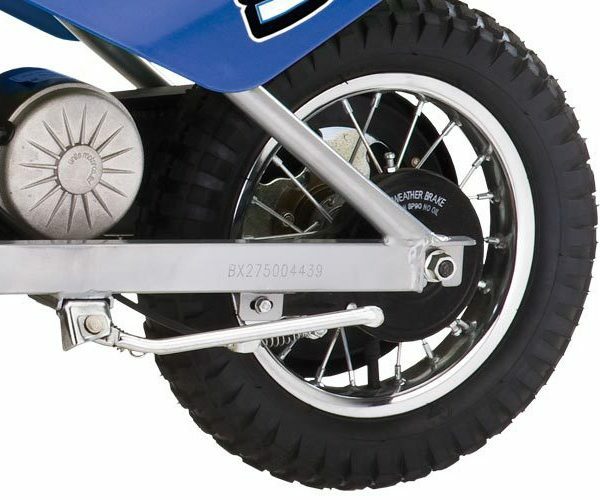 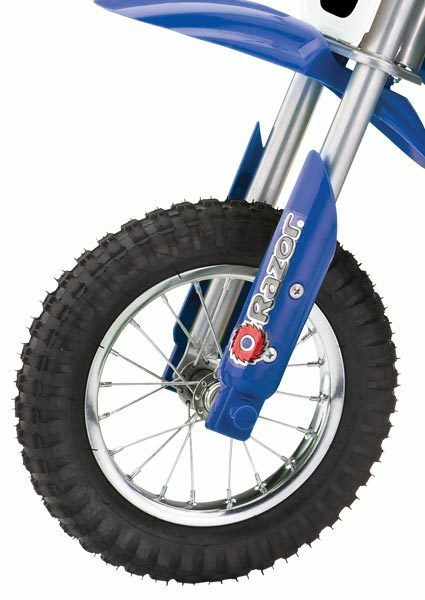 Great performance and power transfer is offered by the big pneumatic tires that are included on the bike. 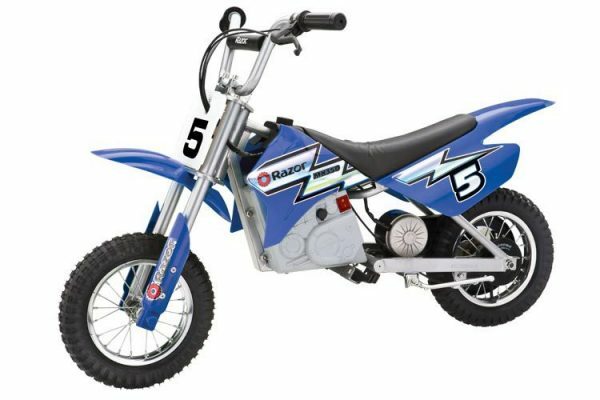 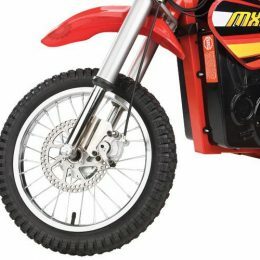 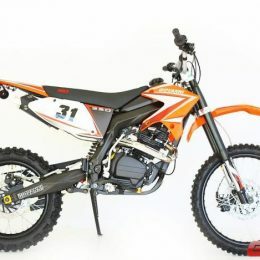 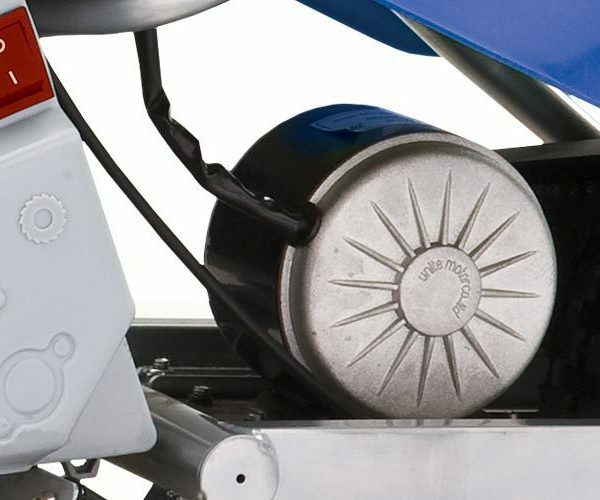 The Dirt Rocket MX350 can operate for up to 30 minutes before it has to be recharged for 12 hours. 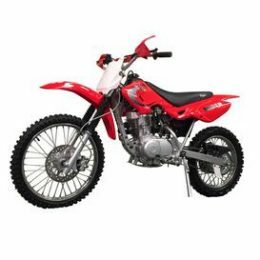 It offers twist-grip acceleration control for easy control and a high torque motor that offers plenty of power for some fun. 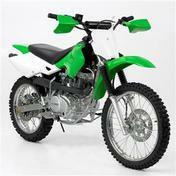 The dirt bike can carry riders that weight up to 140 pounds. 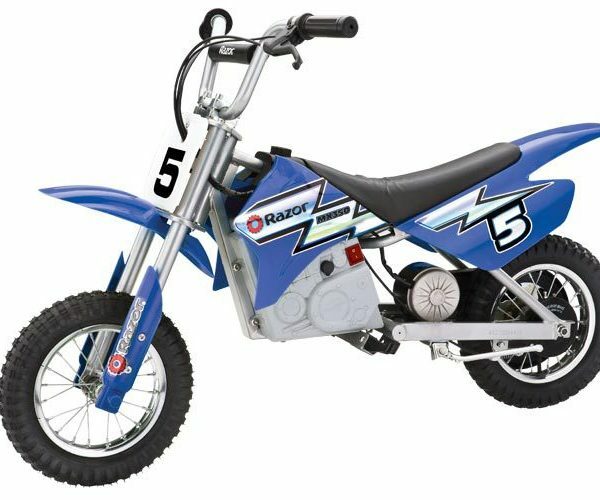 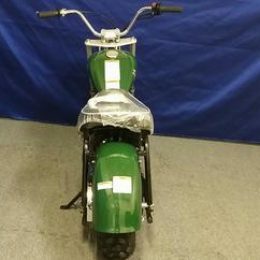 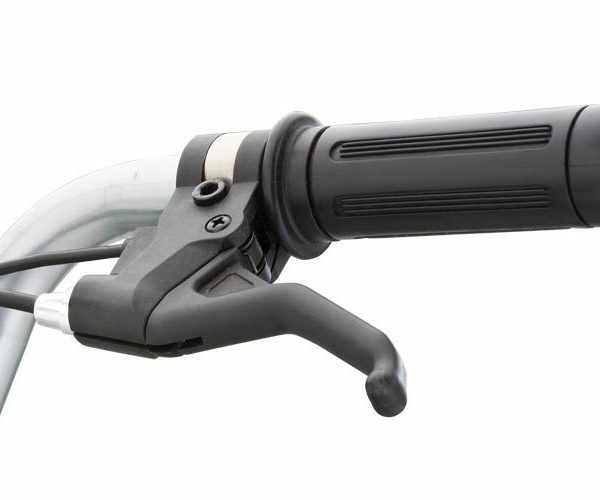 Other features include retractable kickstand, adjustable riser handlebars, a rear brake that is hand operated, and folding metal foot pegs.